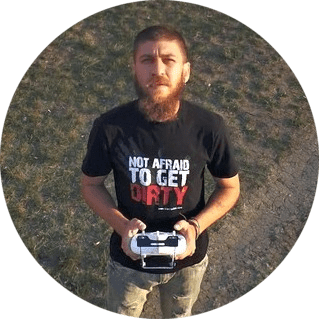 Are you a licensed drone pilot? Looking for cool jobs where you can use your drone piloting skills and your drone? You are in the right place! 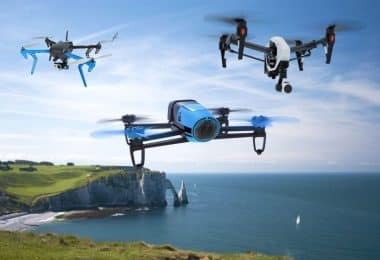 We have decided to make a list of the most popular drone jobs and if you keep reading, you will surely find one that is the perfect fit for you and your bird. However, since some analysts did calculations, and the government realized that the American economy can earn around $13 million annually, and open around 70K jobs by allowing the use of drones for commercial purposes, the rules started changing. And now, if you are a business owner and you want to use a drone, you can apply for the FAA exemption and get a permit to do much more than you could before. Nowadays, UAV training programs are attended by numerous drone as the opportunities to make use of drone technology are getting more and more available as the time goes. 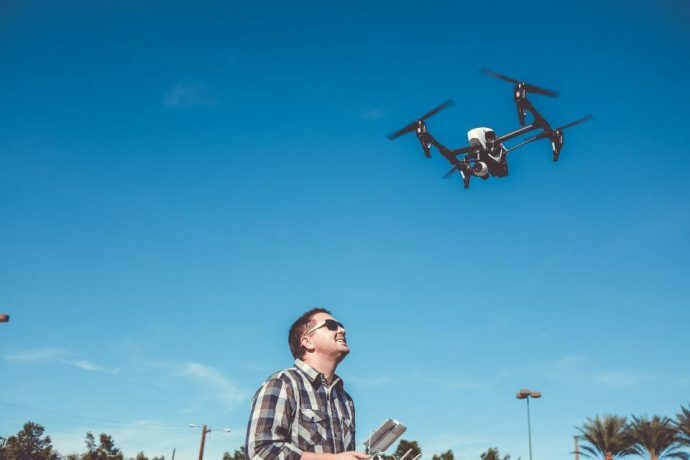 So, if you want to embrace the new technology and make your skills useful and profitable, here is a list of the most popular and wanted drone pilot jobs that are sure to become even more popular in the next few years so make sure you get informed on time. When natural disasters like unstoppable mudslide or a hurricane of category 5 hit coastlines or some remote village, the most complicated task is to get the search and rescue teams on the site and even if they manage to get there in time, locating trapped victims in all that mess is definitely not an easy job that can be done quickly. However, if you add a drone into that equation, the job can get done much faster and more effectively. 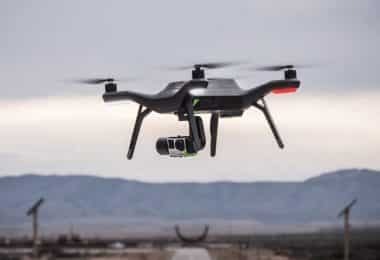 For example, if the drone has a thermal camera on-board, the pilot will be able to quickly fly over the disaster area, spot survivors that are trapped under debris, and allow the rescuers to focus on digging in the right spot, not waste time on randomly digging and hoping that they find someone alive underneath. The great news that UAV pilot job is taken seriously and drone manufacturers had started working on special models that are designed especially for search and rescue missions during the disaster. For example, two years ago, at a United Arab Emirates competition, called Drones for Good, a prototype drone called GimBall, was presented. 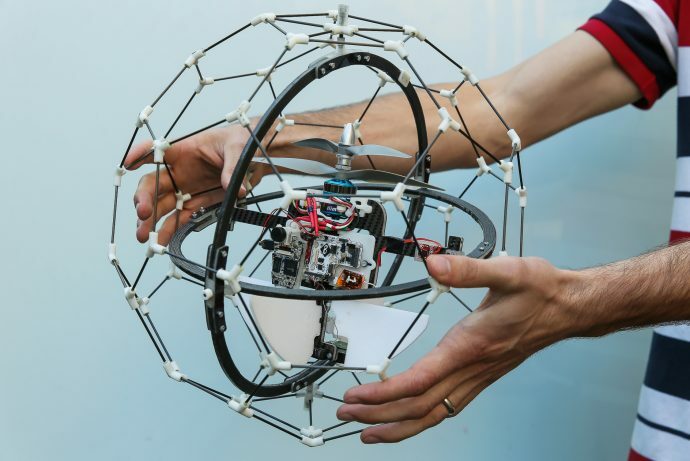 This little 2-prop UAV had been specially designed for search and rescue missions, and thanks to its unique exoskeleton that is flexible, it is capable of bouncing off debris and keep flying, and even squeeze through tight spots to reach the trapped survivors. The prototype won the first prize and million US dollars, for further development and hopefully a serial production. Furthermore, even the standard factory-made camera drones can serve the purpose of locating people and be a more than a useful tool if, for example, a child goes missing in the mountain. 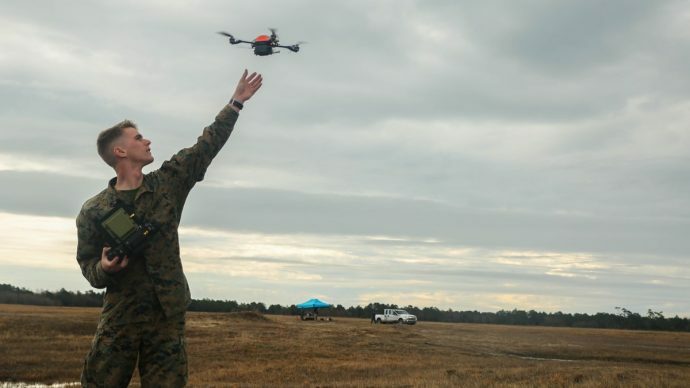 The main point is that a fleet of search, camera-equipped drones, are easier to organize and start the mission than, let’s say, 100 people search party. Not to mention that using drones, is far less expensive and more effective. Unlike humans, who have problems with reaching dangerous or remote, unreachable locations, drones are much more effective in these situations. It’s no wonder that the military had been using drones for a while now, for entering and monitoring enemy territories, and not risking human casualties. It’s a pretty much the same situation when it comes to wildlife science missions, like monitoring and protecting endangered species, without the risk of people being hurt by the wild animals. 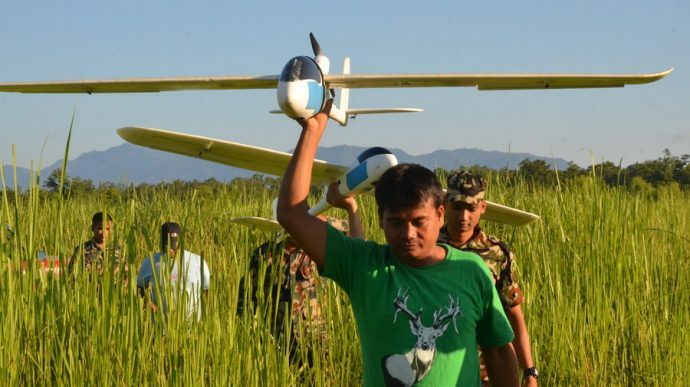 For example, the famous WWF is using a fleet of drones to monitor rhinos and elephants in remote locations of Nepal and Kenya and to protect them from poachers. Their fleet has been sponsored by Google. But, even in America, with special permissions, the U.S. Geological Survey agency, started monitoring a flock of greater sage-grouse in Colorado, using an old military, modified Raven A drone. With it, they were taking thermal images, without disturbing them. Those images helped them better understand the breeding habits of these interesting and somewhat mysterious animals. Further around the globe, for example, in the Indonesian Sumatra jungles, scientists are using drones for monitoring and protecting the orangutans from illegal jungle cutting. Also, in the seas of Belize coast, other teams of scientists are using drone pilots and drones to track the fish populations, keep track of the migrating whales and their health, while the west Greenland teams are mapping difficult to reach areas with, again, the use of drones. 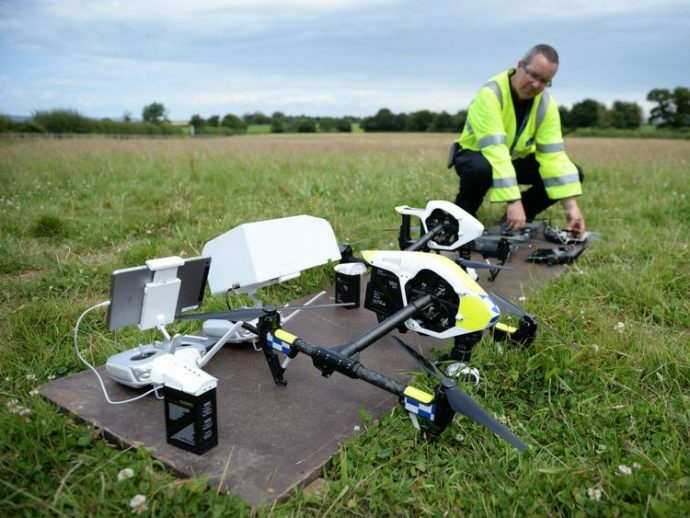 When it comes to journalism, we are pretty sure that in a not so distant future, the cameramen and photographers, will be licensed to do UAV pilot jobs for their stations. The fact is, with a fleet of drones, TV stations will be able to cover some breaking news much faster and better since the pilots will be able to find that perfect shot angle in a matter of a second after they reach the location. Also, the news teams will not have to fight through the crowds and waste valuable time while setting up the equipment. As far as the FAA rules are concerned, TV and news stations can use drones, but only if the pilot is licensed (Sounds like your future job?). 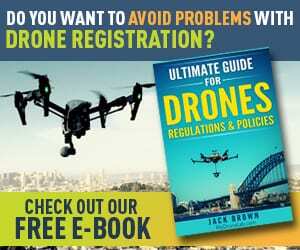 However, flying a drone and filming over demonstrations and riots, is still not allowed, mainly due to the unreliability of drones and the possibility of crashing down and hurting someone. This still makes the journalist’s job complicated, but as the technology evolves, and drones becoming more reliable and safer, that rule will probably change. Just imagine being allowed to fly over a concert or a football match, and do fun stuff like that for a living. Sounds like a dream job, doesn’t it? If you do some research, you will find out that the Trans-Alaska pipeline goes through the northern Alaska, starting from the Prudhoe Bay frozen oil fields, and ending at Valdez port, the nearest ice-free one, with a total distance of some 800 miles. Furthermore, you will also find out that this 1.2 meter in diameter pipeline, transports natural gas and oil to 48 states, which is about 15% of the U.S. oil production. Now, imagine how complicated it is to locate one leak in that 8oo miles long iron line. Not only that a leak would cause a major revenue lost, but it would also cause an ecological disaster to the surrounding area. The last time such an incident happened in 2006, by the time the leak was located and fixed, the revenue loss (including the repairs and replacements) was around $500 million. Around 2 acres of land was soaked with around 200 000 gallons of oil. That is exactly why BP started thinking outside the box and started using drones equipped with thermal cameras, to scan the pipeline and check for weak spots and possible leak points. Needles to say that buying a drone and adding a thermal camera, as well as hiring a trained drone pilot, is far cheaper than hiring a helicopter. Furthermore, drones proved themselves to be quite useful when it comes to inspecting the turbine blades on wind farms. It is much safer and easier to get a drone with a camera in the air than to send a man to climb hundreds of feet up to check if there are some irregularities on the blades. Also, drones are starting to get used to scare off animals and birds on solar fields, as they could damage the sensitive solar panels. While we are still on the topic of drones and fields, we can’t forget to mention one of the least expected drone uses. Yes, drones can benefit the Agriculture industry much more than anyone of us imagined. Truth be told, farmers with small farms will probably benefit that much, but when it comes to huge portions of land and crops that expands to the horizon, drones are the key element in getting the most out of both the land and the crops. When it comes to farming, drones are now the most important tool for what is called precision agricultural process. For example, with the use of drones equipped with NDVI and infrared cameras and aerial surveying, the modern farmers can check the so-called Normalized Difference Vegetation Index, which helps them spot the difference in their crops and see if there are certain spots that emit different light spectra, which further implies that they can precisely determine if the soil is fertile or needs improvement, and locate crops that are not developing well or are ill.
Before the drones became so available and affordable, and before such cameras existed, the farmers could get such images from satellites, and only one per day. Besides being expensive, the provided images were not that high-detailed and couldn’t include a specific targeted area. 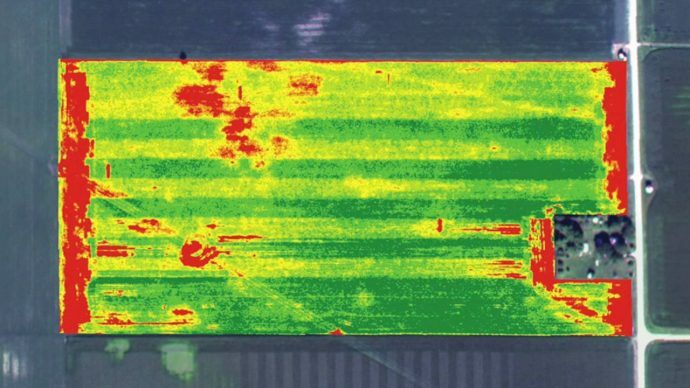 Today, with the use of modern drone and imaging technology, farmers can make NDVI and infrared images any time they want, and for a fraction of the previous price. Furthermore, if some crops need a special remedy that would harm the healthy plants, thanks to drones precise GPS position awareness, the ill plants can be easily located and treated. This also means that the farmers would save money on pesticides as drone crop dusters offer a more cost-effective and generally effective way of spraying crops. There are more uses for drones in the agricultural industry and as the technology develops, farming as we know it today will completely change. This might be one of the most exciting and interesting drone pilot jobs on our list. 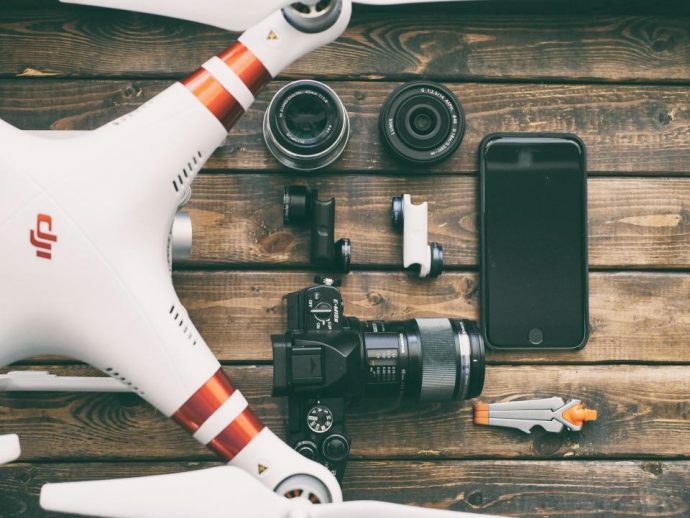 You are probably aware that using a drone is more simple than setting up a crane, or cheaper than hiring or buying a helicopter for aerial, or tracks for tracking shots. The filmmakers are fully aware of these facts and they welcomed the drone technology with arms wide open! Furthermore, in 2014, in NYC, a Drone Film Festival was held, where people celebrated the new, drone cinematography art. Some of the entries included vivid colored videos made with drones, tours of the Santa Monica Pier, and an interesting approach to short films, that included the unique idea of attaching an action cam to Superman to see the world from his point of view. Of course, they didn’t hire Superman but used the drone for that role. The fact is, the today’s drones are really high-tech, flying, filming platforms, and for a relatively affordable price, even some lower budget movie productions can create shots that were formerly reserved just for the major Hollywood productions who could afford their own helicopters. 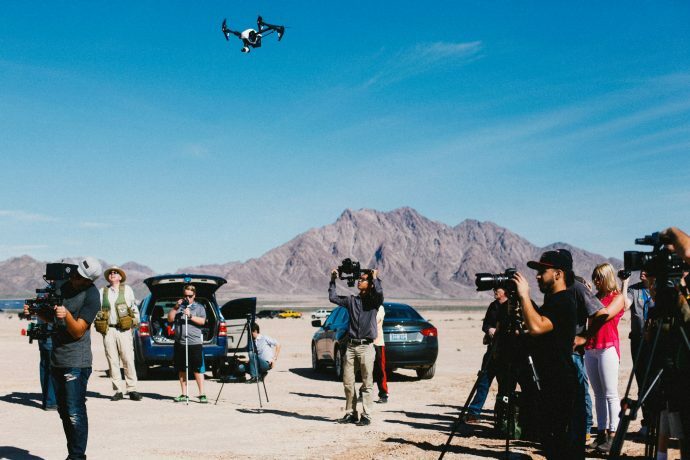 Even the FAA got softer and they are granting permissions to movie companies, meaning that drone pilots in the movie industry will be in high demand in the next few years. Just a couple of years ago, if you wanted to buy a property, and were looking for it online, the only thing you would find were the traditional images taken from the ground. However, the real estate agents are amongst those who are pretty happy that the FAA allowed the commercial use of a drone. This means that, now, for example, a beach house can be advertised in a much more appealing way and breathtaking videos that will sell the house instantly can be created with a relatively low budget. 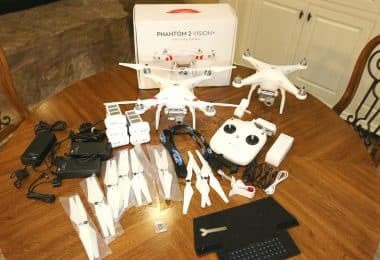 These are just a few suggestions, and if you are a drone pilot, you know that the possibilities for the real estate videography with a drone are limitless. The real estate business owners are also aware of this and they need experienced pilots to make their property videos breathtaking and deal making! However, the story doesn’t end there! 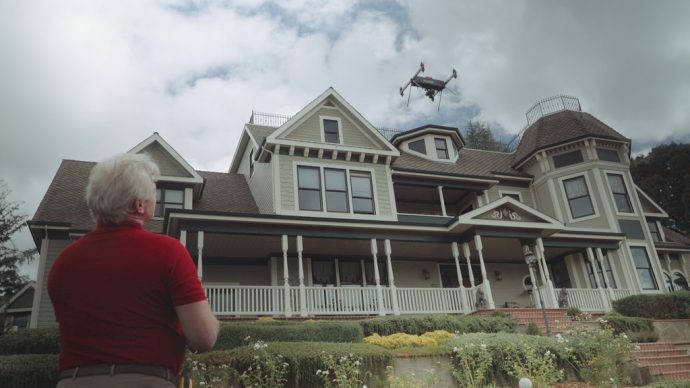 Drones can also be used for home inspections. With the use of thermal cameras, the roof insulation can be checked for bad spots. This also implies for building and factory hall roofs, which is quite useful if the building owners want to check the state of the roof and prevent any potential collapse. Imagine a situation, a few armed and dangerous criminals have just escaped from a bank robbery and police lost them in an enormous field of corn. What can the police do to find them? They could run their cars through the field, but without seeing the criminals they can’t know in which direction to go. The other option is bringing a helicopter but that is too noisy and will make the criminals only lay lower and camouflage themselves even better, and, not all police stations have a budget big enough to include their own helicopter. So, what other options are there? Drone squad, take off! Each police team can have its own drone pilot, and a drone packed in the trunk of the car, waiting for situations like this one. They can use them to quietly scan the area without letting the criminals even know that they have them located. How will they locate them if they are camouflaged? Easy, with the use of thermal cameras. Such cameras will also allow officers to see if the criminals are armed or not. This idea is not science fiction actually and many police stations across the world are starting to use drones in various situations. However, the society is strongly against this practice as it fears that the world will turn into a “Big Brother” where the police would have watchful eyes in the sky and the thing knows as “privacy” would no longer exist. Another problem that bothers the society when it comes to police drones, is the fact that drones can be used for riots and crowd control, as such drone models, equipped with 4 lightweight paintball guns, already exist and can be bought from a South African manufacturer. 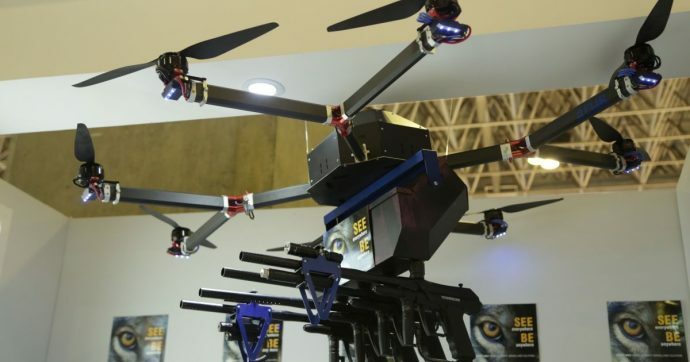 This model is named “Skunk Riot Control Copter”, and it is one serious octocopter, with powerful motors and 16-inch props, capable of lifting up to 45 kg of payload! Not only that, but it can be equipped with, for example, red paintballs in one gun so that the drone pilot can mark the protesters who carry potentially dangerous weapons, blue balls for those who display vandalism behavior, and if needed, pepper balls so that the crowd can be controlled and prevented from advancing. But, this octocopter hasn’t been approved in any state so far, and drone police work is limited to search and rescue missions and crime or accident aerial shots. But, that doesn’t mean you can’t apply as a drone pilot if your local police station supports or needs drones and drone pilots. Have you ever considered a career as an Army Drone Pilot? Yes, you can actually become one. We all know that the entire drone technology originates from, well who else than the military. But, who would have guessed that, now, the army lacks of drone pilots? Of course, you will need to go through numerous tests, but if you pass all of them, then you can expect to become an Army Drone Pilot. But, don’t mistake this with the Air Force drone pilots as the U.S. Air Force doesn’t allow civilians for this position, yet. Instead, what you can expect are the scouting missions that are related to the army and their remote control Unmanned Aerial Vehicles. Nevertheless, this job still sounds interesting and if you want to find out more, you can check out what’s required, here. In 2013, the estimated number of delivered packages by the retailing giant, Amazon, was over 600 million! Most of those packages arrived through U.S. mail, or through Amazon’s world network of private package delivering services. The packages included everything from electronic gadgets, to books, to even 4K home theater systems, and for those who are Amazon Prime members, those packages were delivered in just two days or even less, with no shipping fee! But, it seems that the Amazon is not completely satisfied with a 2-day delivery system, and they are working on a delivery system that includes drones. If this gets approved by the FAA, the Amazon Prime Air will deliver packages under 5 pounds, with drones, in half an hour from the order, or less, depending on your location. And, considering that more than half of the orders on Amazon are under that weight, it means that a lot of packages will need to be delivered and that further means a lot of drone pilots will be needed as well. 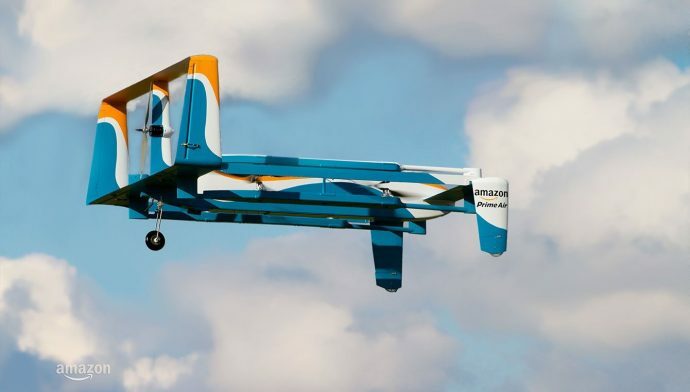 However, since the FAA hasn’t made a significant progress in the drone delivery system approval area, Amazon Prime Air testing has moved to Canada, where they are working on developing the 10th generation of their delivery drones. Amazon is not the only one working on the drone delivery program, though. Google X, even though not with such media coverage, is likewise working on a project called “Project Wing”, while the “Matternet” startup from Silicon Valley is working on a system that includes drone deliveries for places that have no roads leading to them. 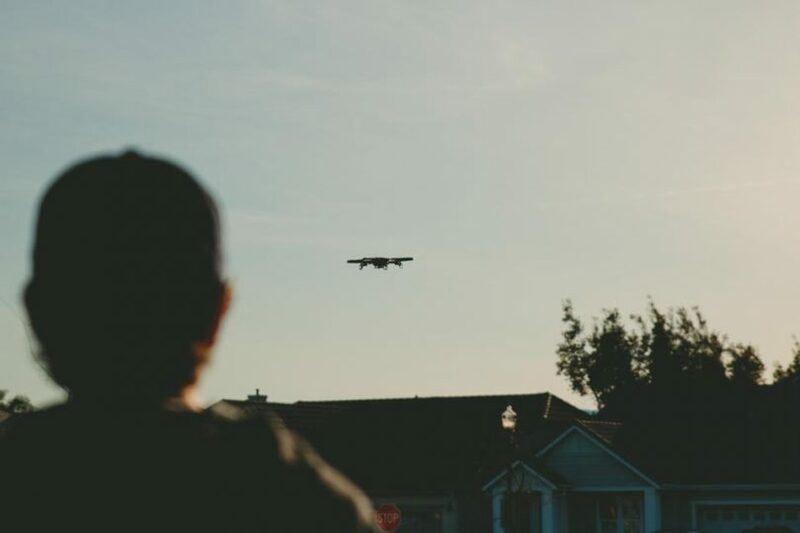 All in all, the possibility of working as a drone pilot for a package delivery system is not so far away and should be considered and further investigated if this sounds like something you would like to do. So, now that you read all the possible drone pilot jobs, what do you think? Will you pursue the career of a UAV pilot? If so, you should definitely consider some of the jobs we named here and further investigate to find out what you need to do in order to get the job that seems the most interesting to you and your set of piloting skills. If these jobs aren’t what you are looking for and if you want to keep drone piloting as a hobby, we wish you clear skies and no wind. And, remember to fly safe and responsible, and follow the rules that are there for both your safety and the safety of people and property around you. Now, regardless of your future career choices, we would still love to hear your thoughts on this subject. Do you think that the drone pilot jobs will become more and more available and that we can expect drones flying across the sky on official business regularly? Or do you think that this is still more science fiction than reality? Let us know what you think by leaving a comment in the comments section below. RTF RC Planes: An Enthusiast Flyer’s Delight!